On the Internet there are several online platforms that host photos and images belonging to users to be able to share them easily. Photobucket is one of them, and from now on you can automate the upload of images to your account with Photobucket Uploader. Interact with your Photobucket account in an easier and faster manner. 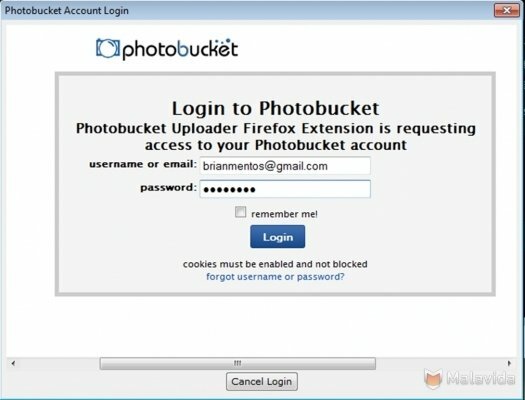 Photobucket Uploader is an add-on for Mozilla Firefox that adds an option to upload images to Photobucket from the browser itself. Whenever you locate on the Internet an image that you want to upload to Photobucket, just click on it with your right mouse button. 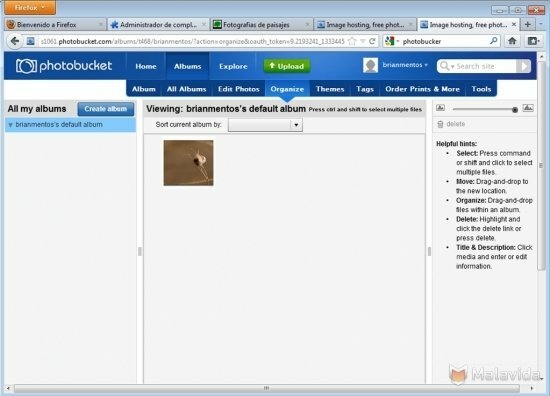 Photobucket Uploader adds a new entry to the context menu with the option "Upload to Photobucket". After inserting the user name and password of your account Photobucket will start loading the image. 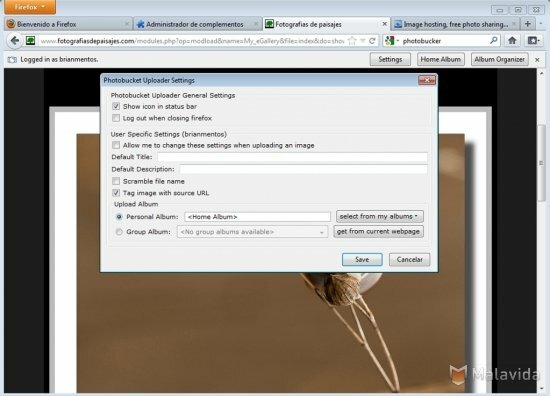 Generate links to share the photos stored on Photobucket. Add a title and a description to each image. Define in which personal or group albums you will save each file you upload. Tag the images automatically with the URL they were obtained from. Download Photobucket Uploader free for Firefox and increase the amount of files stored in your Photobucket account, making it much easier to upload images. It works with Firefox 3.0 through to Firefox 11.